PEAR has a new Contact form on the website . It is accessible from any page on the website by clicking Contact. You can select a topic such as Pre-Adopt Question, Ethical Issue, Agency Issue, and more, so that we can quickly handle your question, suggestion or request for help. It is not necessary that you complete all the fields listed; they are suggestions not requirements. Adoptee Rights Demonstration, a rally and protest in Philadelphia, PA, is being held at 11 AM on July 21, 2009. This rally will coincide with the opening day of the Legislative Summit of the National Conference of State Legislators. Adult adoptees in most of the advanced, industrialized nations of the world have unrestricted access to their original birth records as a matter of right. In contrast, adult adoptees in all but six states in the U.S. are forbidden unrestricted access to their own original birth certificates, due to archaic laws that are a legacy of a culture of shame that stigmatized infertility, out-of-wedlock birth and adoption. Adult adoptees and their supporters have worked diligently in different states for decades to overturn these laws, but have been opposed by well-funded lobbies representing certain adoption agencies and lawyers who have a vested interest in keeping birth certificates sealed. Their unsupported claims that access violates dubious privacy rights or will increase abortions and decrease adoptions have been categorically refuted by data from states with laws recognizing the rights of adoptees, by studies such as the recently published paper from the Evan B. Donaldson Adoption Institute, and by court decisions affirming the constitutionality of access laws. U.S. District Judge David Sam said the payments will serve both as punishment and a form of "restorative justice." The money would be paid in monthly installments over the next five years. Sam's order, issued Tuesday, marks the end of the court proceedings in the case. A 2007 indictment accused the five of tricking Samoan parents into giving up their children to the Wellsville-based group for adoption. Prosecutors alleged relatives or friends in Samoa pushed the adoptions as a program that would educate children in the United States and return them at age 18. Also, the adoptive parents in the United States were falsely told the adoptees were orphans or abandoned and that communication with the birth families was forbidden, according to the indictment. » Karen Banks, 48, who managed the adoption agency, and her husband, Scott Banks, 47, who also held a management position, $85,000. » Dan Wakefield, 72, who helped locate children in Samoa for adoption, $8,000. » Coleen Bartlett, 52, who facilitated the adoption of Samoan children, $4,000. » Karalee Thornock, 36, who served as a Pacific Islands case worker, $3,000. The U.S. Attorney's Office had asked for a minimum total of $108,000. Spokeswoman Melodie Rydalch said Thursday that while no amount of money can rectify the damage done, prosecutors are satisfied with Sam's order. "We believe this money will be a significant help in opening the long-awaited lines of communication between children and families affected by the defendants' actions," she said. PEAR has unveiled several new pages on its website! This page has links to posts on PEAR's blog with information specific to each country. In addition there are links to PEAR's statements on each country and 3rd party reports deemed to be relevant to adoption. This page opens up PEAR's "Blog of Blogs" it combines the content of more than 20 blogs from members of all parts of the triad. This takes about 30 seconds (an eternity!) to refresh when you hit the page each day. However, it gives you a good overview of the news of the day from triad members. The mix of blogs included may change from time to time. If you have dial-up, I would suggest you not access this page at this time. This lists all the Medical Providers included in PEAR's "Comprehensive Directory of International Adoption Medical Doctors". There are 130+ providers listed from 41 states who are knowledgeable about adoption, institutionalization, and/or prenatal substance use issues. You can find extensive detailed information about each practice by downloading the directory. As part of PEAR's effort to provide prospective and adoptive parents with the resources, information and support to make educated and informed decisions concerning adoption, we announce the creation of a our country specific blog program. We are starting this program as a test to see how well the blog format works and whether it is consumer friendly. Our pilot blog will be focused on Nepal. The blogs will contain current information from US and Nepalese governmental sources, NGOs, media, adoption service providers, and adoptive and prospective adoptive parents. 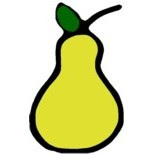 PEAR hopes to assist families in finding information and discover the root and truth behind rumors. We will also provide updated links to resources for both prospective and adoptive familes. To make this blog work, we need your help! We invite PAPs and APs to participate by commenting on the posts and by writing to PEAR with information, questions, rumors, and constructive criticism on how we can improve the resource. 55. The Committee recommends that the State party, taking into account the new adoption laws and guarantees of legal procedures for inter-country adoption in conformity with the Hague Convention No. 33 on Protection of Children and Cooperation in Respect of Intercountry Adoption, withdraw the existing moratorium as a barrier to the full implementation of Art. 21 of the Convention. PEAR has released its preliminary report "Independent Adoptions: Implications for Parents and Providers under Hague Intercountry Adoption Act and Regulations." You can find this extensive report on our Home page or Files page. Research China.org is reporting a new scandal errupting in China over the adoptions of children from the Guizhou Province. Please check the blog for Research China. About 80 babies in the province of Guizhou (southwestern China) were confiscated by authorities for family planning to parents who violated the one-child policy in the last eight years and given up for adoption to families from other countries, including Spain, announced today the independent press china. The case, uncovered by the newspaper "Nanfang Dushibao" ( "Southern Metropolis News), affecting families in the district Zhenyu this province, one of the poorest in the country, and also to adoptive families in the U.S., Belgium and other European countries. Apparently, girls are from families that violated the "one-child policy" and could not cope with the fine to be paid to have another rod (about $ 2900, equivalent to 2,000 euros). The local family planning authorities falsified documentation to present to girls as orphans, and incorporated them into the system of international adoption by foreign families who came to it and charging fees of about $ 3000 (2,100 euros). Suspicions arose when it was discovered a sharp increase in adoptions in the local orphanage between 2003 and 2005, falling back (when police launched a campaign against child trafficking at national level) and increased again in 2007. Guangying Shi, one of the leaders of the seizure, said the newspaper "South China Morning Post" that the supply of orphan girls at the orphanage as it was despite not being a "politics of the district where the parents did not pay the fines." Chinese rural families in general can only have a second child if the first is a girl, even if the law contains several exceptions and local amendments. Spain is one of the largest Chinese children, especially girls, taken only after the U.S., although in recent years the increasing demands of China increased the processing time, reducing the number of adoptions. PEAR will be monitoring the situation and updating as necessary. Competent Providers: Prospective adoptive parents have the right to an adoption service provider with appropriate high-quality adoption services. Prospective adoptive parents have the right to receive a complete list of qualifications of all providers of adoption-related services. Qualifications include both adoption-related education and training. Ethical Program: Prospective adoptive parents have the right to an ethical and economical adoption program. Prospective adoptive parents have the right to expect honest and complete program information, full fee disclosure, and fee amounts proportional to the complexity of the services provided. Prospective adoptive parents have the right to expect that all actions and payments by parties to the adoption process are legal and ethical in the United States and any other jurisdiction in which the payment or action is required. Respect and Nondiscrimination: Prospective adoptive parents have the right to considerate, respectful treatment and communication from all members of the adoption system at all times and under all circumstances. An environment of mutual respect is essential to maintain quality adoption services. Adoption Service Disclosure: Prospective adoptive parents have the right to receive accurate and clear information about their adoption plans, professional services, adoption options, risks and benefits, and cost implications to make an informed choice of services. Prospective adoptive parents also have a right to know how to reach adoptive service provider personnel and other necessary in-country service providers during and after business hours. Prospective adoptive parents have the right to receive information concerning the process of acceptance and refusal of a referred child or proposed match as well as the effect of refusing a referral or match prior to signing a contract for services. In the event that the adoption service provider challenges the competence of the prospective adoptive parent after a homestudy has been approved, a detailed, written statement regarding the challenge will be referred to the homestudy evaluator and a copy will be given to the clients. Prospective adoptive parents have the right to be free from threats of removing referrals during a challenge. They have the right to be treated in a professional manner throughout the challenge process. In domestic adoption placements, prospective adoptive parents have the right to clearly stated financial risks in case of denial of Medicaid or insurance for the placing mother's medicals bills. They have the right to know at the time of contract signing if delays or denial of finalization are tied to payment of after-the-fact denials of medical coverage. Comprehensive Adoption Preparation: Prospective adoptive parents have the right to comprehensive pre-adoption education. Adoptive families need to understand the psychological, developmental, behavioral, emotional and medical challenges that adopted children may experience. This information is integral for being to make a fully informed decision about adoption, developing appropriate expectations, recognizing issues and finding appropriate resources to address the needs of the adopted child. Broad-Based Consultations: Prospective adoptive parents have the right to consult adoption specialists, physicians, attorneys, adoption advocates, consumer advocates and others to help them better understand the process and their options. Prospective adoptive parents also have the right, without fear of retribution or retaliatory actions from the adoption service provider, to discuss their adoption plans and process with family, friends, consumer advocates, internet support groups, adoption advocates, physicians, attorneys, and governmental institutions through any communicative means as long as such disclosure does not violate the law or the privacy rights of a referred child. Confidentiality of Information: Prospective adoptive parents have the right to communicate with adoption service providers in confidence and to have the confidentiality of their individually identifiable information protected. Information should not be transferred, sold or otherwise utilized without express written consent of the prospective adoptive parents. Prospective adoptive parents also have the right to review and copy their own records, request amendments, and transfer their records and information to other adoption service providers and governmental institutions as necessary to efficiently complete the adoption process as allowed by all jurisdictions involved. In the case of termination of the adoption service provider contract, the adoption service provider shall agree to return or destroy the confidential information and all copies, if so requested by the prospective adoptive parents unless prohibited by state law. Fair appeal and grievance process: Prospective adoptive parents have the right to a fair and efficient process for resolving differences with their adoption service providers and the institutions that serve them, including a rigorous system of internal review and an independent system of external review. Prospective adoptive parents have the right to receive information prior to entering the service agreement/contract about the methods they can use to submit complaints or grievances regarding provision of services to their adoption service provider, the provider’s regulatory board, and any professional association. Prospective adoptive parents also have the right to be provided information about the procedures they can use to appeal decisions made through the adoption service provider’s internal grievance process. Prospective adoptive parents have a right to a fair and impartial external appeal process. Provider Accountability: Prospective adoptive parents have the right to expect that adoption service providers may be held accountable and liable to prospective adoptive parents for any injury caused intentionally or through negligence or gross incompetence on the part of the adoption service provider and any of its subcontractors, associates and agents. Complete Child Information: Prospective adoptive parents have the right to full and accurate information regarding the health, social and familial history of any child referred to them to adopt. Legally Available Children: Prospective Adoptive Parents have the right to expect that the referred child was not made available for adoption through coercion, fraud, kidnapping, trafficking or other unethical practices from the family of origin or any third party to the adoption. Lawful Process: Prospective adoptive parents have the right to expect that the process of adoption is in conformance with all applicable local, state, federal and international laws, including those of the child’s native jurisdiction. Respect for the family of origin and the laws of all involved jurisdictions are necessary for the integrity of adoption. PEAR supports unrestricted access to birth records for all adults adopted as minors. We do not believe any citizen should be discriminated against by removing the right to obtain their personal, official documents. We oppose the imposition of contact vetoes, court orders or third-party agency interference with an adoptee’s right to access his or her original birth certificate. Adoption should be about the formation of a family for the benefit and best interests of children, not the destruction of identity. As an organization we will support clean legislation submitted in any state that seeks to achieve the goal of opening records.